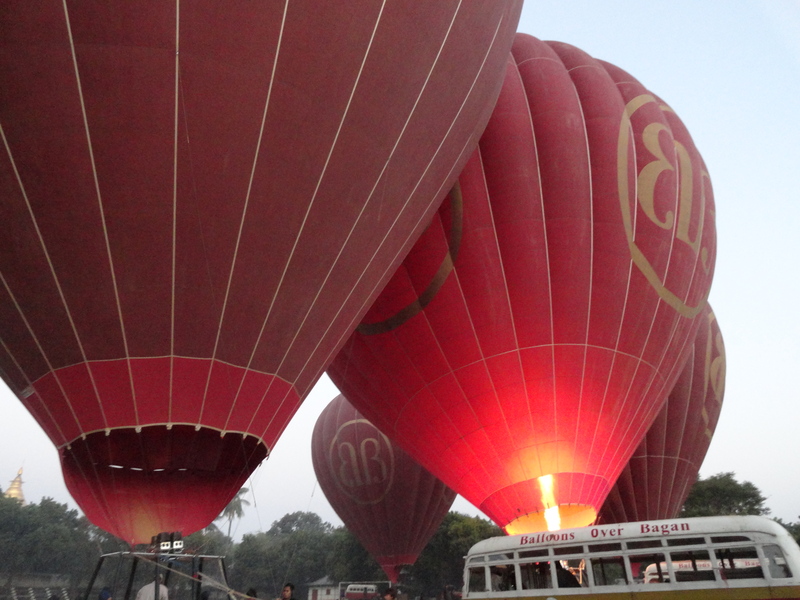 It was cold and dark as we rode to the launching grounds at 5 am for my third balloon ride in the world. 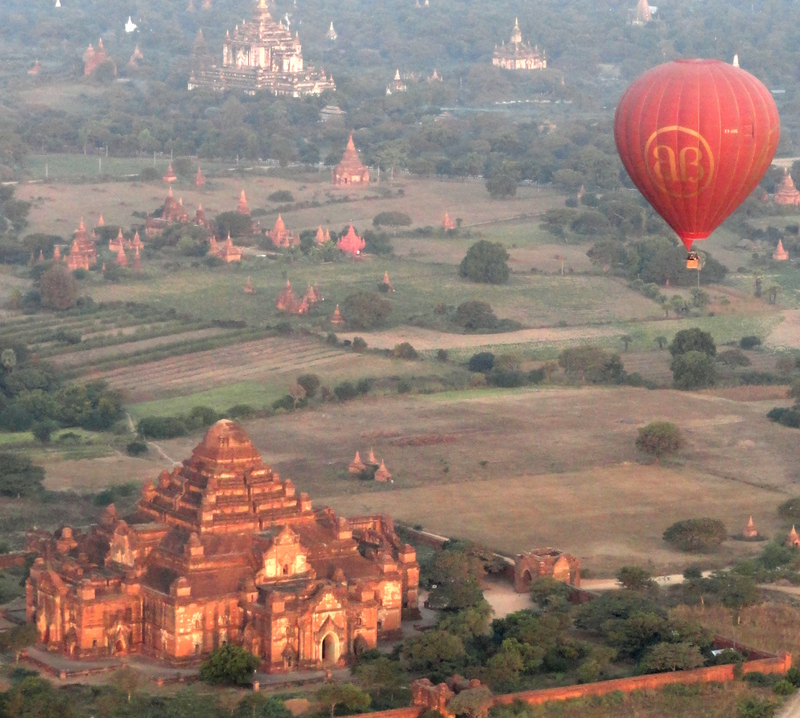 This was the hot air balloon ride over Bagan, Myanmar and it was glorious. With 5 other balloons going up around the launching grounds, we watched them all come to life as each one filled with hot air from the fire blower. It was magical watching them as we sipped hot coffee and hot tea. 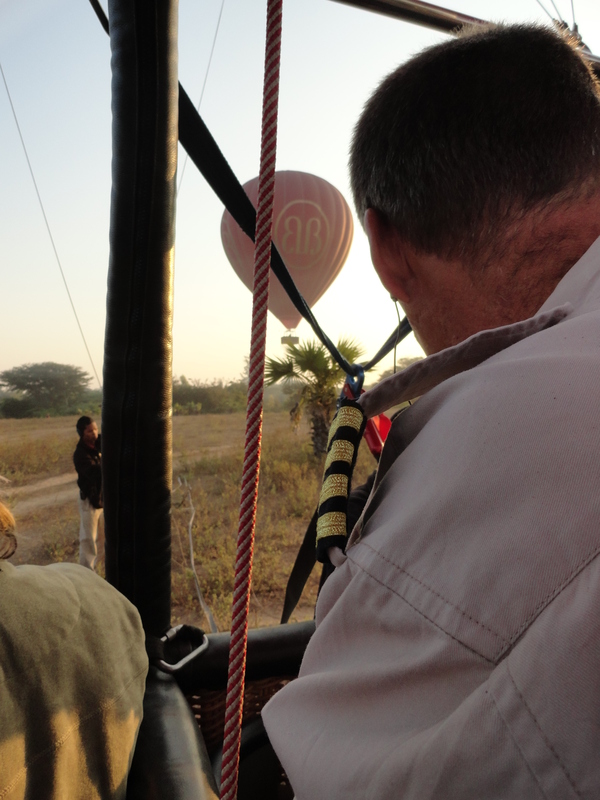 Then the time came for us to board our balloon basket and we climbed into it and waited for the moment we would take off. Our basket was full of 8 excited people. To keep our balloon from taking off before it was ready, the workers tied the balloon to the bus we rode in to get to the site. And it worked. The balloon couldn’t take off because the bus was too heavy. 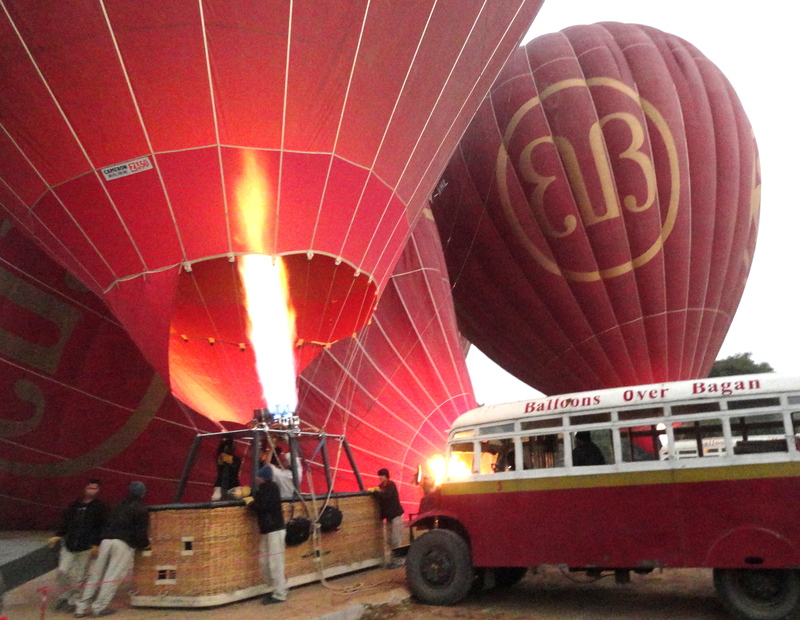 Soon the ropes were untied from the bus and the balloon rose slowly and majestically as it was our turn to go up. 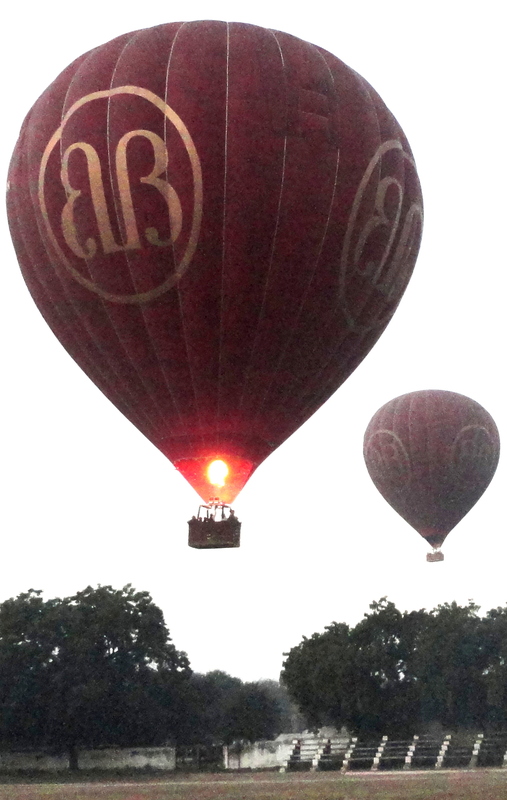 Several other balloons already were in the air and as we ascended, we could see them and the ones yet to fly. 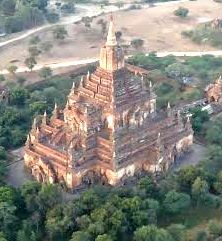 It was a thrilling experience as we had a bird’s eye view that allowed us to appreciate the scale of magical Bagan with its thousand year old pagodas and temples that dotted the shores of the mighty (Ayeyarwady) Irrawaddy River. 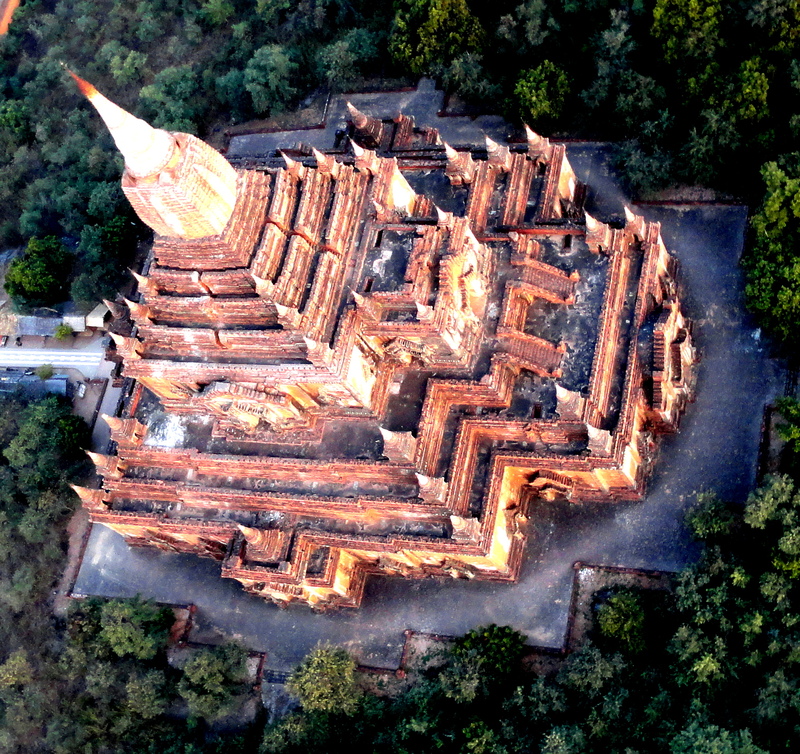 There were large, medium and small pagodas and temples made of red sandstone everywhere we looked. The many ancient kings and leaders each had many built when they were ruling. 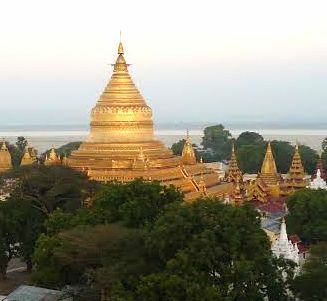 Earthquakes have claimed many of them but several thousand are still standing today. 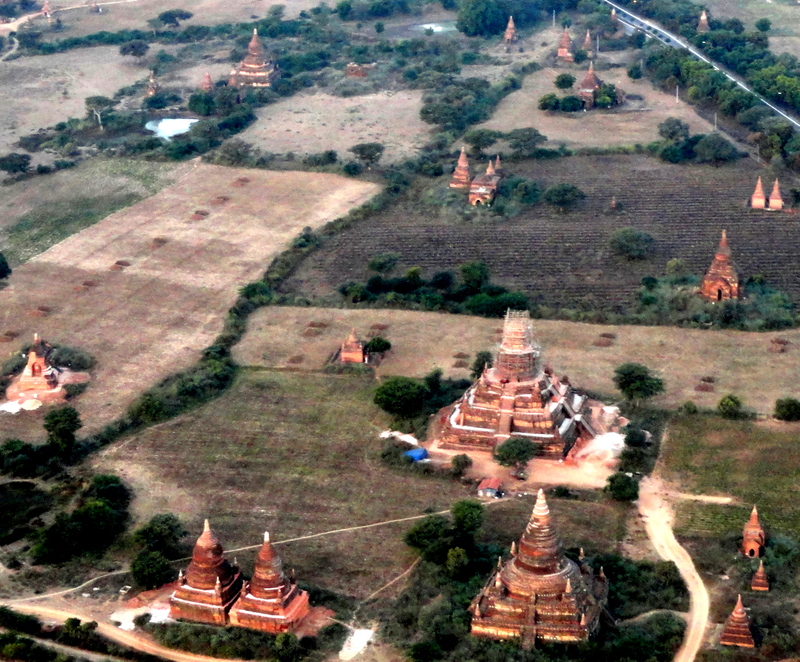 We floated up, down and around the flat plains by the river and could look straight down into the pagodas and temples. The sun continued to rise and so did the rest of the balloons. 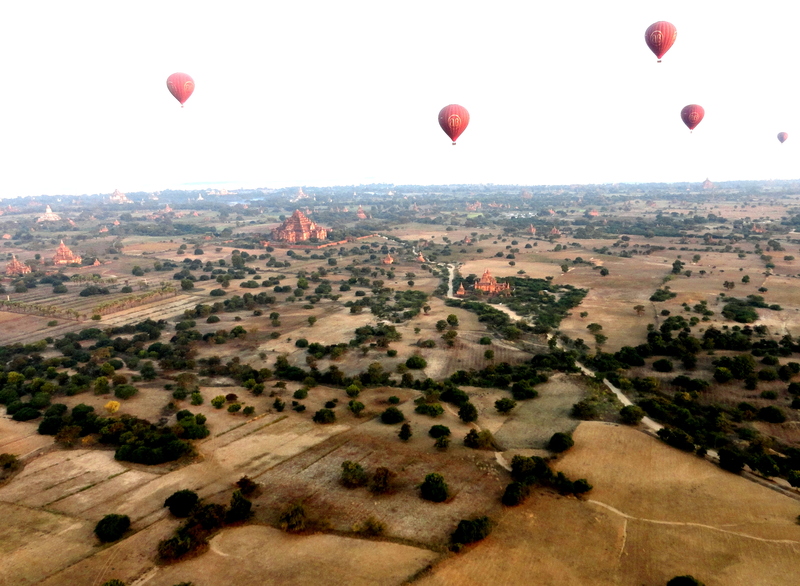 But all beautiful, fun and glorious balloon rides must end and it was our time. To my amazement, we landed perfectly and standing up in the basket. And as I watched the others land, they did the same. 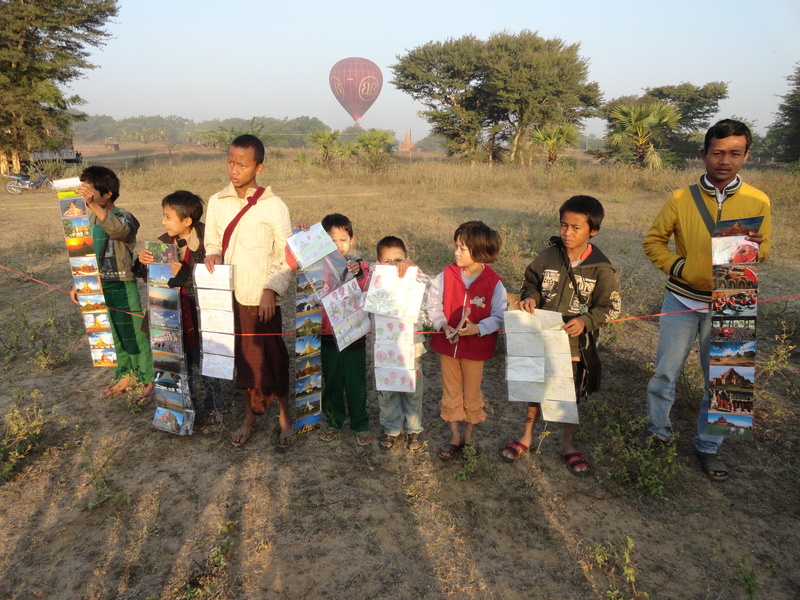 The local children were waiting for us to buy their photos as a souvenir as we landed early in the morning. It was a wonderful ride that we enjoyed so much, even though we had to get up at 5 a.m. in the cold and dark. 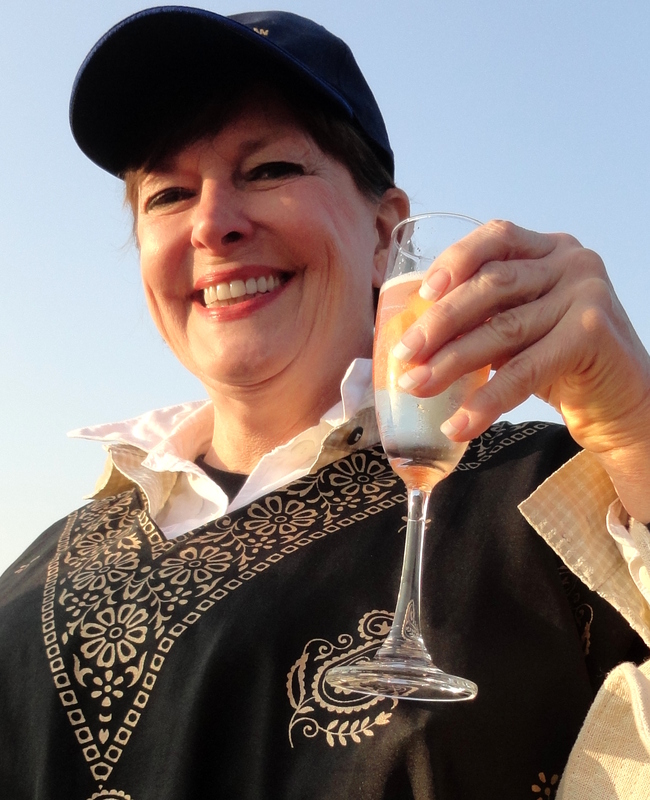 Joy Burleson celebrates her first balloon ride that was perfect. This dream ride was worth it all and we celebrated with champagne and snacks.